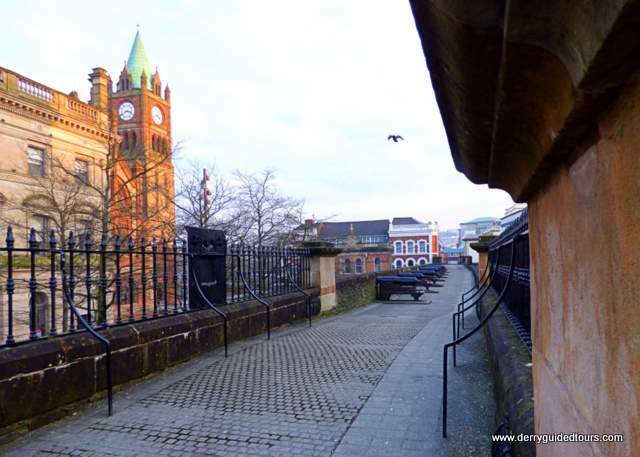 Derry is a bustling city in Ireland’s northwest, the only completely walled city in all of Ireland. Steeped in history, this vibrant city is an amazing destination for anyone planning a trip to Ireland and Northern Ireland. Founded nearly 1500 years ago, you can be sure there are plenty of stories to be told of conflict and tragedy, hope and resilience, and above all, peace and reconciliation in this little city, that always offers a warm welcome to visitors from near and far. However, I believe the best way to really learn about a place is to meet a local person, who will share their deep seated connection to their home town or county. 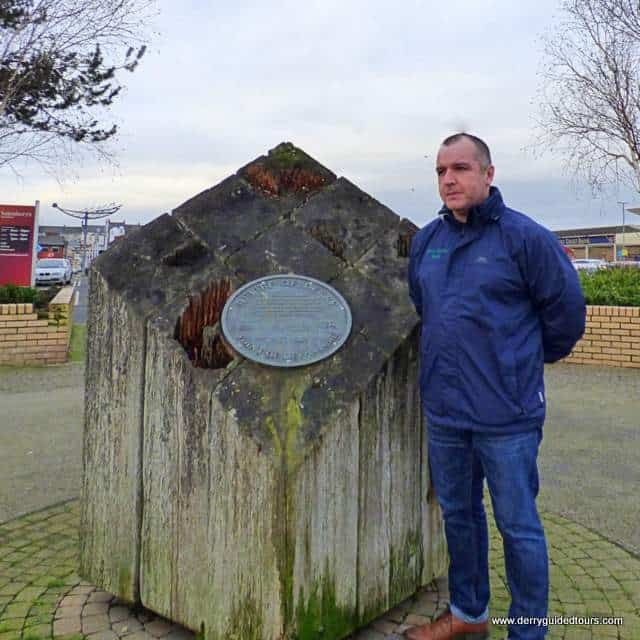 Today, I’m delighted to introduce a native of Derry, and a true expert in Irish and Derry history, Gleann Doherty, who leads wonderful walking tours around his hometown. He’s eager to meander through the streets of Derry with you, to stroll the 17th century walls of this historic city, all the while sharing his immense knowledge and first-hand experiences of this evolving city. Ok! So I’ve been sitting here trying to figure out how to begin this blog for 15 minutes, and I haven’t figured it out yet, so I’ve just started typing. Mairéad had asked me to write this some time ago and I readily agreed to do so, then completely forgot that I had, so I apologize unreservedly to Mairéad. But then I received a request for a tour of Derry’s walls by an American couple just before Christmas 2016. 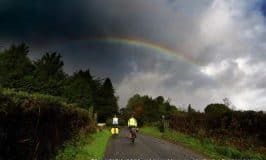 It was just after the tour had finished that I then recalled the email conversation that I had with Mairéad, and that I had agreed to write a blog. I gingerly emailed Mairéad ,again apologized, and she let me have another chance so here goes…. I would like to introduce myself first of all. My name is Gleann Doherty (Gleann O’Dochartaigh) and I live in Derry City, Ireland. I am a tour guide/historian and have been since 2013. I now run my own tour guide company Derry Guided Tours in the city. I have a BA Honours Degree in Irish History and Politics from the University of Ulster, Magee, graduating in 2013 when I was 42 years old – a late starter as they say here. I conduct tours mainly around two areas of Derry that are steeped in history, also County Donegal and the Giant’s Causeway on the Antrim Coast . The first is the Derry Walls walking tour, the content of which I will go into later. The other tour that I lead is the Bloody Sunday- Bogside murals walking tour. 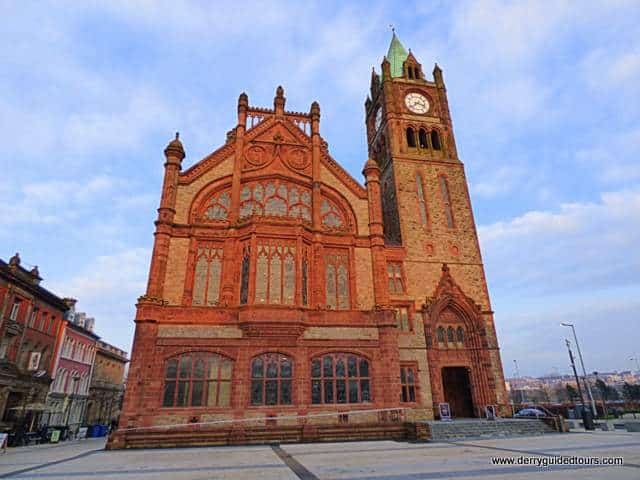 This tour deals with the more modern history of Derry and Ireland, but focuses mostly on The Battle of the Bogside, Civil Rights period, and Bloody Sunday in Derry on the 30th January 1972. It is in this massacre that my own father was murdered, Patrick Doherty, aged 31. The tour brings you through some of the worst periods of the conflict but also into the brighter era of the peace process and better times ahead. But anyway, back to my story about how I came to write this blog post. 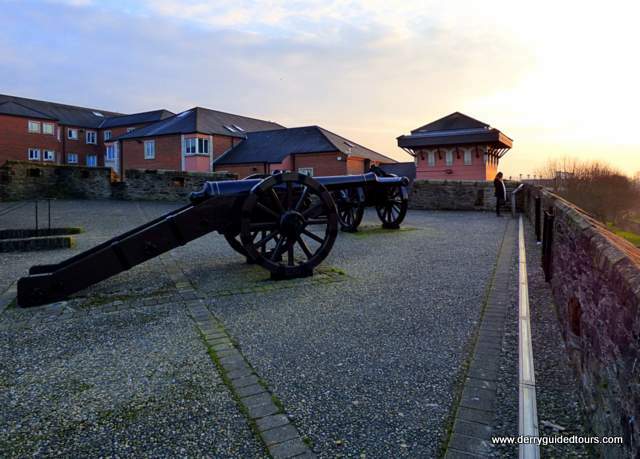 I had a tour booked for the week just before Christmas, a Derry Walls walking tour by an American couple from Utah. They had booked their tour the week before and I was hoping that it wouldn’t freeze in the mean time. We met at the Tower museum in the city centre as arranged. We exchanged names again and what we were going to see and do and how did I pronounce my name? Was it ‘Gleen or Gle-ann?’ Happens all the time. It’s pronounced ‘Glenn’ named after Glenn Cambell, the singer, by the way. I explained to them that we would be covering around 1500 years of Irish history on our 90-minute tour and we’d do a complete circuit of the city walls, 1.4 km. They had a pretty good knowledge of Irish history and had also researched their own family history before hand. The tour began with St. Colmcille, an Irish Prince turned monk who set up a monastery on the island of Doire (Derry) in the year 546 AD before moving on to Scotland to spread the word of Christianity to Britain and Europe. As we walked the only fully walled city in Ireland the topics moved on from the Nine Years War and the invasion of Ulster, the last Gaelic stronghold in Ireland, and the Plantation of Ulster from around 1609. The Plantation of Ulster is not the American idea of a plantation but a replanting of English and Scottish Protestants brought over to Ireland and Ulster in particular to repopulate the area that had been cleared of native Irish. This is from where most Unionists-Protestants in Ireland get their roots. Derry and it’s walls were the main stronghold for the Plantation. 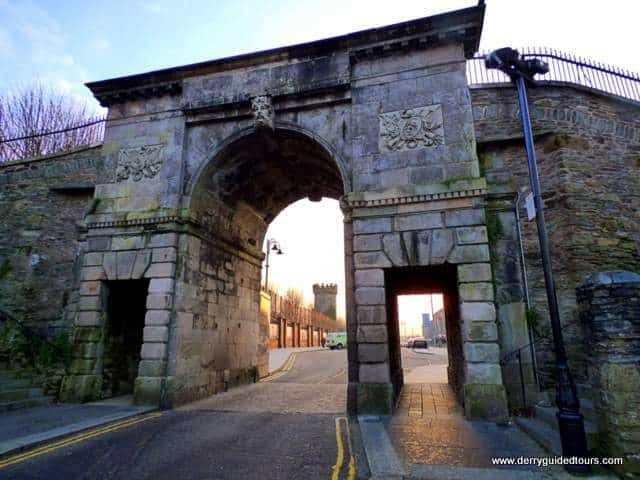 Derry’s walls were built in 1613-1618 and controlled the main waterway into Ulster, the river Foyle which flows though Derry splitting it in two. As we passed over the 4 original gateways I explained their names and how they came about …. and lastly Shipquay Gate, were the ships would tie up at the quay just outside the gate. Then we had a discussion on how the word ‘quay’ is pronounced. We say ‘key.’ and my American friends pronounced it ‘kwee’, but we over came our pronunciation difficulties and moved on to a new topic, The Siege of Derry 1689. 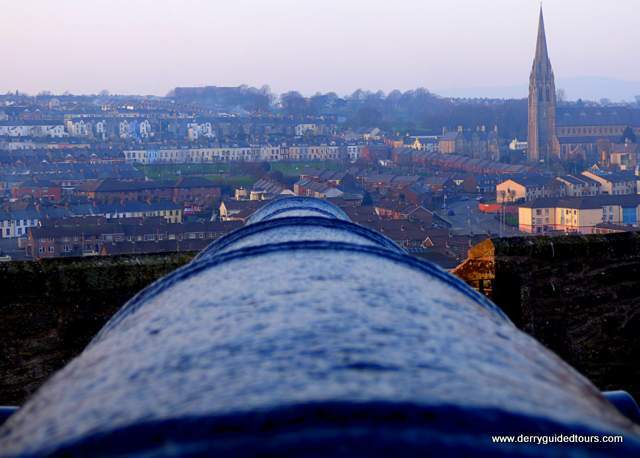 The Siege of Derry would play a huge part in the Unionist tradition’s history. The Siege of Derry was fought out between the Catholic King James II and the Protestant King William III, Prince of Orange. This is where the Orange Order gets it’s name. King James II was attempting to get his English throne back from William III who had replaced James on the English throne. As we rounded the top of the walls at St. Columb’s Cathedral going towards Bishop’s Gate and after revealing Derry’s connection to the American Declaration of Independence, I informed them that to see the old windmill we had to leave the city walls and walk down Bishop’s Street outside of the walls. At the site of the old windmill, which is in the grounds of the old St Columb’s College, my guests informed me as to why the wanted to see the windmill. 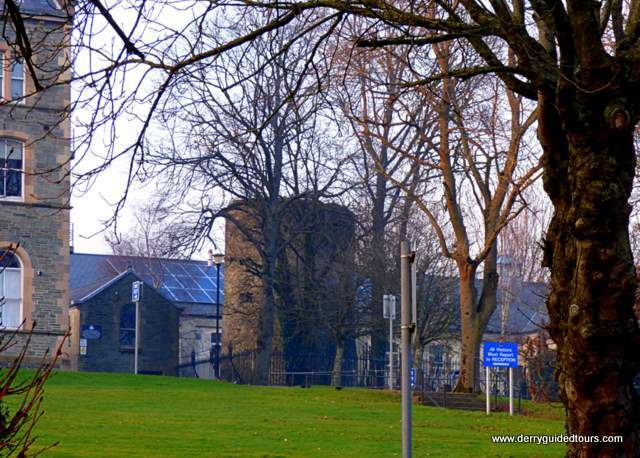 They said that their relatives, two brothers, fought at the Battle of Windmill Hill during the Siege of Derry 1689. The two brothers were of Scots Presbyterian stock and the family had come to Ireland during the Plantation period of the early 1600’s. The old windmill, of which only some of the base walls still survive, was a strategic piece of high ground close to the walled city and was fiercely fought over on two separate occasions. As far as I can recall the brothers left for America after the siege ended with at least one of them becoming involved in politics in Texas. After these revelations we stepped back on to the city walls to finish the tour. At Double Bastion over looking the Bogside we resumed our tour. the Civil Rights period around 1967 and the influence that the American Civil Rights movement had here in Ireland. I then explained the white gable wall that stands in the Bogside known as Free Derry Wall/Corner with the slogan ‘You Are Now Entering Free Derry’ and the slogan’s American origins. We also talked about my personal connection with Bloody Sunday, a connection that my visitors were not aware of. As we made our way down hill we passed along the Apprentice Boys Hall and The First Derry Presbyterian Church, how it came to be, it’s destruction and rebuilding again, as well as the Penal Laws in Ireland and Presbyterian or Scots-Irish emigration to America. Grand Parade in Derry City. As the tour came to an end back at the Tower Museum I thanked my now American friends for sharing their family story and history and they thanked me for sharing the history of Derry and Ireland and for filling in some blanks as to why the two brothers had left Ireland for America. I realized after we had parted ways, that as we had come full circle on our tour, that history had come full circle also. The two brothers had left Ireland for the New World some 330 years ago. Their relatives had returned to Ireland, Derry and the windmill to get answers as to why the two brothers had left in the first place and had completed the circle. This is why I love history, taking an event some 330 years ago and following and piecing together the events that lead back to modern times and meeting the relatives who had completed the circle. So folks, if you have come this far in this story I hope you enjoyed reading it as much as I enjoyed writing it. I’ve really enjoyed recalling the events of the day and relaying them to yourselves, where ever you may be. It’s a small world as they say. A big thank you to Gleann for taking the time to introduce his tour company and for sharing his city with us today. I was so sorry to learn that Gleann lost his father on Bloody Sunday in Derry. 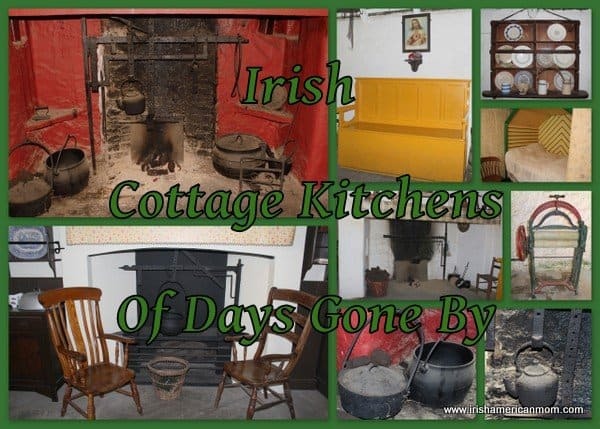 Gleann’s in-depth knowledge and personal experiences are invaluable assets for those eager to learn about Ireland or those seeking out their own family connections to the Emerald Isle. Wishing you all happy tours around Derry and Ireland this year, 2017. And may Gleann’s company, Derry Guided Tours, grown and prosper over the coming years and decades. I hope you make it to Ireland someday, Cheryl. Thanks for checking out this post. The story of Tour of Derry really struck a chord with me. In 2009 we visited Ireland & ventured North to Derry where my daughters crush lived (Damien McGinty Celtic Thunder) We did not know the history of the town & were amazed. Got a local B&B right by the Wall. We ran right into the Bloody Sunday monument & wow. Luv the U2 song & quickly learned a little of that terrible day for the Irish. Hi Patty – I think you’re correct about how many Americans miss visiting Northern Ireland. Even County Donegal in the northwest of Ireland, gets far fewer visitors than other counties like Clare and Kerry, even thought the scenery there rivals any place in Ireland. It sounds like you had an amazing experience in Derry when you visited. I truly hope you make it back there someday soon. Thank you Gleann. 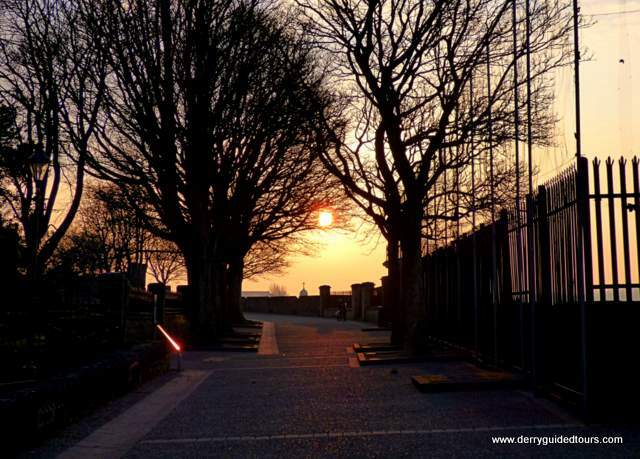 Your tours sound wonderful, and your knowledge of Derry history is such an asset for leading tours. Best of luck for 2017. Hi Sheila – Thanks so much for reading this post about Gleann’s tours. They truly do sound wonderful. 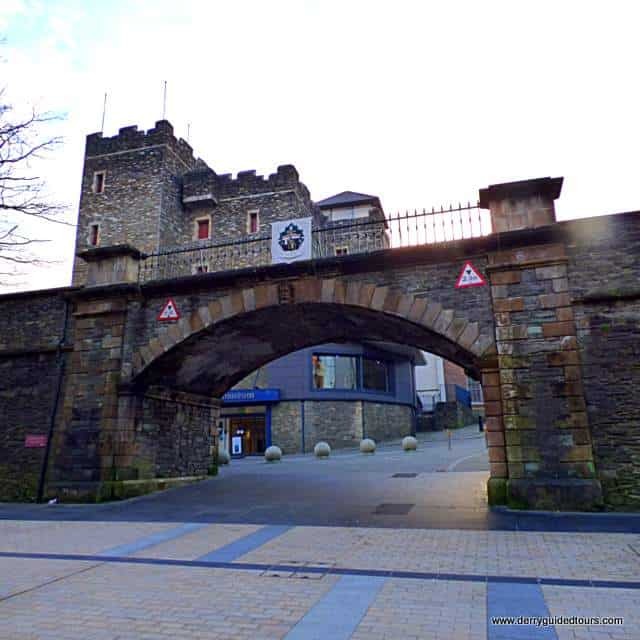 I had the lovely experience of visiting Ireland and Northern Ireland in October 2015, on a Rick Steves tour, and while in Derry, we were given a wonderful walking tour via the wall. The city has such fascinating history, vibrant and sobering. The people of Ireland and Northern Ireland were so kind and welcoming, and the land, both inland and on the coast, absolutely magnificent. The food and music are out of this world. I highly recommend a visit and hope to return myself one day soon. Hi Melanie – It sounds like you had a wonderful time on your tour of Ireland and Northern Ireland. It’s lovely to hear from readers who found such a warm welcome in Ireland. 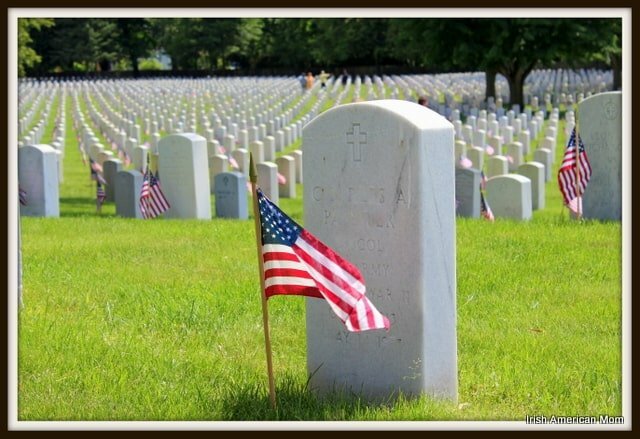 Thanks so much for stopping by to check out Gleann’s post. I made a mistake in the date – it was actually October 2016, just this last fall. Seems like yesterday! Derry was very special to us as our ancestor was born in Derry in 1752. I believe Kevin McElhinney age 17 who died on Bloody Sunday could be a distant relative of ours. We didn’t have enough time to do research while there. So sorry you lost your dad when you were young! Thank you Alice for taking the time to read my post. Hopefully you will get the opportunity to return to Derry in the future and research your links further. Hi Gleann – thanks so much for this wonderful contribution. Hi Alice – thanks for your kind words about my blog. So glad you enjoying stopping by for my recipes and ramblings. 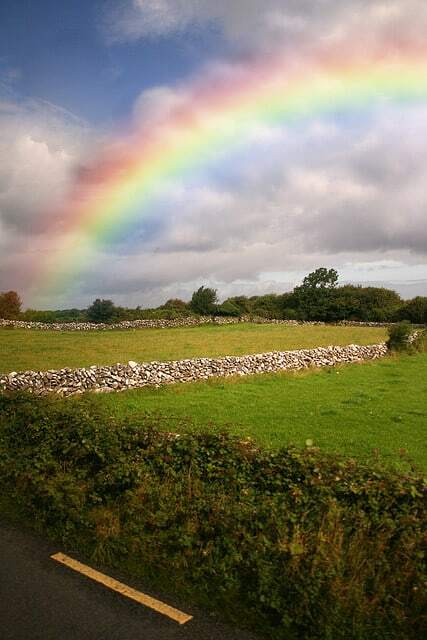 It’s ovely to hear from readers who have visited Ireland and enjoyed their time there. I truly hope you make it back to Ireland someday and that you can trace your family even further. Thanks to Gleann too for this wonderful article. Thank you, Mairead* and Gleann…Not knowing much of the history of Derry, it was a blessing to hear the story from someone whose heart and life was born of its essence. The events of Bloody Sunday were a sadness for the Family of Man, to be sure, and for your Dad’s life to be taken in such a terrible travesty is a great sorrow to us all. 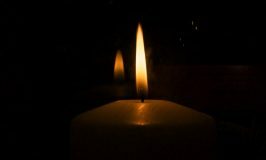 May he rest in the Peace of God’s heavenly kingdom. I loved, Gleann, your thoughts of the cycles of history. It is such an interesting experience to sense this, and to be able to entertain the thoughts of the overview of centuries and centuries. I am sure that my sentence could not have conveyed the mystical nature of what we are speaking of…oh, dear…well, God bless you both, and, again, thank you!